Since 1934, Sokolin has been America’s premier source for the world’s fine wines. We understand rare wine from both a consumer’s and investor’s perspective and the importance of providing the perfect climate in which your collection can age. That’s why you can trust that there is no better professional wine storage facility than ours to store your rare wine investment. Download a Contract. See our highly competitive fees. Why store your wine at Liquid Asset Storage? Security and Protection: Our sophisticated wine storage facility provides maximum security with limited-access and hi-tech surveillance system monitoring. Our temperature control systems have backup generators in place to ensure your collection is always protected. 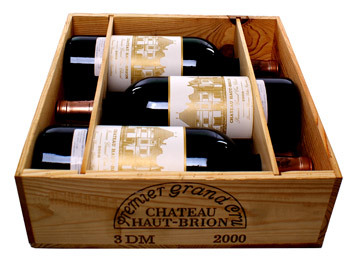 Optimal Storage Conditions: Proper wine storage conditions are imperative to the longevity of your fine wine collection. All wines are stored on their sides in optimal wine storage conditions relative to temperature, humidity, and light control. We provide a climate controlled environment that’s conducive to long term wine storage for aging and investment purposes. Cellar Management: Leave the inventory management to our experienced industry professionals. All incoming wines are carefully inspected and accurately recorded into our inventory system. A complete inventory & condition report will be sent to you upon completion. Would you ever take the time to do this at home? Highly Competitive Prices: We have kept our competitively low rates unchanged for over 10 years - that’s well below the competition. Plus, the types of wine you buy from Sokolin are transported and checked-in free of charge! Easily Sell Your Stored Wines: When you buy and store your fine wines with us, we already know the provenance of your wine so it’s easier for you to sell your wines at consignment or auction. We have an experienced staff and simple process to help you sell when you’re ready. Please visit our Sell Your Wines section for more details. Temporary storage while your home or cellar is under construction – we’ll even pack and transport your collection to and from your home and organize your cellar once it reaches its final destination.